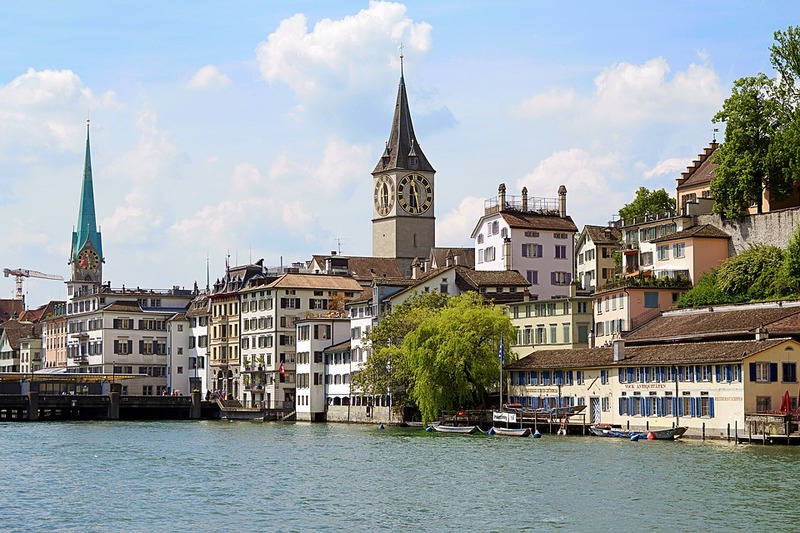 Zürich is among the top ten most liveable cities in the world, according to the Economist’s Intelligence Unit’s Global Liveability Ranking. Despite its small population it’s a global city and one of the world’s largest financial centres. At the same time it’s a vibrant city combining an ancient city centre with contemporary trends. From Zürich Airport (ZRH) it’s 12 kilometres to get to the city centre. Taking the train from the Zürich Airport train station to the city centre takes 11 minutes. Tickets (single journey) cost 6.60 CHF / 5.70 euro's. It’s also possible to reach the city centre by taxi. This costs around 70 CHF / 64 euro’s. Using public transport in Zürich is common and of high quality. You can use the S-Bahn (local trains), trams, buses (also called trolley buses), boats, funicular railways and cable cars (Luftseilbahn Adliswil-Felsenegg). Tickets bought for a trip can be used on all means of transportation. Zürich has a program to improve facilities for bicycle traffic. You can 'hire' a bike for free on a number of locations throughout the city when you present a valid ID and a deposit of CHF 20. Landmarks worth a visit are churches such as Fraumünster, Grossmünster and St. Peterskirche and museums being Kunsthaus, Schweizerisches Landesmuseum, Beyer Museum and Museum Rietberg. Zürich has a vibrant cultural setting: next to museums they also have exquisite theatres. Parks suitable for running are the Botanical Garden, Chinese Garden and Uetliberg. The area around Zürich also has lots of hiking paths. Zürich has great facilities when you like to cycle. The biking routes are mostly marked with red and white signs. The yellow lines are also meant for bikers. There are also lots of curling facilities. Two popular running events take place every year. The first is the Zürich Marathon. This marathon, with a distance of 42.195 km (26 miles) starts and finishes at Zurich Mynthenquai. The second popular running event is the New Year’s Eve Run, offering various distances and starting and finishing in Schlieren (near Zürich).